The theme for the second annual Laurence Gilson Summer School is ‘Education for Imagination!’ The school, held in Oldcastle, Co. Meath will run from Friday 10th May to Sunday 12th May. Building on the success of last year’s inaugural event, the organisers are delighted to announce that this year’s keynote address will be given by Mark Patrick Hederman, Abbot of Glenstal Abbey, on Saturday 11th May. His most recent book, The Boy in the Bubble, looks at the flaws in the Irish education system and how it should be doing more to develop the imagination of our children to help them meet the challenges that lie ahead. The school will open on the evening of Friday 10th May with a talk on Bishop Thomas Nulty of Meath, given by Frances Tallon of Meath County Library. This talk will continue the theme of commemorating those who benefited from Gilson’s bequest, with Bishop Nulty having received his early education in the Gilson Endowed School in Oldcastle. In addition to his religious duties, Dr. Nulty was fully involved in the secular matters of his day and was a defender of the rights of the tenant farmer. In pastoral and pamphlet he gave his views on subjects ranging from second level education to town water supply. His famous publication was ‘Back to the Land’, published in April 1881 in which he argued the case for reform in the system of land tenure then prevailing in Ireland. He became embroiled in the bitter controversy of the ‘Parnell Split’, on the anti Parnellite side. Saturday 11th May will be the main day for discussions, talks and presentations. As with the first summer school, the organisers are planning a mixture of formal panel discussions, learning outside the classroom environment, and a variety of presentations and performances. Panels so far include ‘Imagining Difference’ which will consider the topic of educating for difference for people who, for whatever reason, do not fit in to the standard educational system, and ‘The things you can only imagine’, which will explore the role of imagination in new technologies and how these can be used to illuminate subjects not always thought of as requiring imagination. Saturday evening will see a interview between John Quinn and Manchán Magan on the theme of ‘My Education’, and also the keynote address by Mark Patrick Hederman. In keeping with a national theme for 2013, Sunday May 12th has been given over to ‘The Gilson Gathering ‘ a clan reunion and a school reunion for all past pupils of the Gilson Endowed School, and also for anyone whose surname is –or was – Gilson, Gilsenan, Magilsenan, Gilshenan or any variation. There will be plenty happening that day, with talks, music, displays of memorabilia, and lots of opportunities to catch up with long-lost friends and distant relations. This project has been co-financed by Meath Partnership through the Irish Department of Environment, Community and Local Government ‘Rural Development Programme Ireland 2007-2013’ and through the European Agricultural Fund for Rural Development: Europe investing in rural areas. 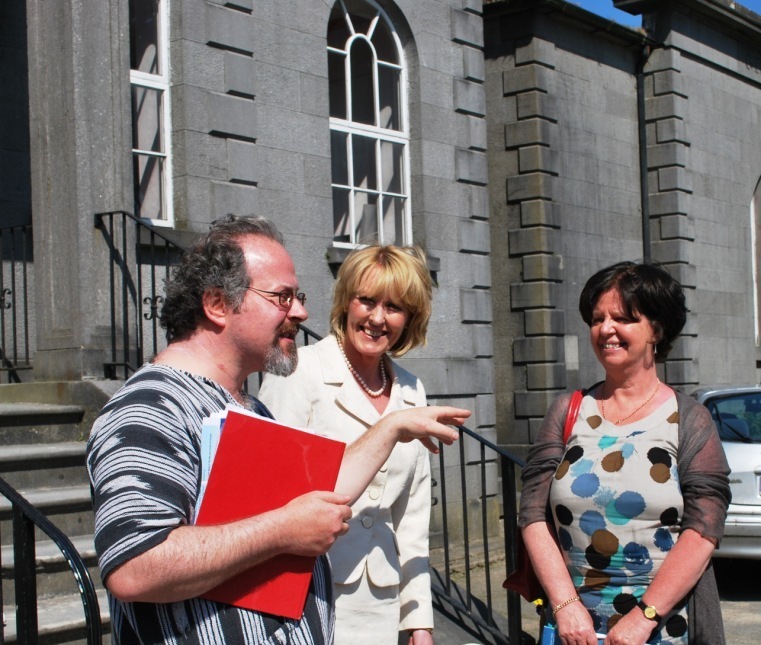 ‘Education for Imagination!’ is the theme for the 2013 Laurence Gilson Summer School which will take place in Oldcastle, over the weekend of May 10, 11 and 12. If these are the kinds of concepts you’d like to see applied to education in Ireland today – come and join the debates, the discussions, the endeavour at next year’s Summer School! good number of people turned out to listen, debate and discuss some of the most relevant topics in education in Ireland today. All the speakers were in top form and contributed insight, experience, facts and figures as well as a host of new ideas to their audiences which were quickly taken up and thoroughly thrashed out – as is just what you would expect of a Summer School. If you missed it, you can check out some of the speakers’ presentations below. Saturday night’s unveiling of the Halpine Memorial brought a touch of glamour and style to The Square with a colour party from ‘C’ Company, the 65th Reserve Infantry Battalion livening up the proceedings. The US Ambassador was represented by Lt Col Shawn Purvis USAF, the Senior Defence Attache at the Embassy. Sunday was another glorious day and perfect for the planned ‘Walks, Talks & Field Trips’ – taking learning out of the classroom and giving visitors the opportunity to see some of the most beautiful countryside in Ireland. Botanist Kate Flood from Meath Eco Tours lead the way in Mullaghmeen, Richard McLoughlin, Conservation Architect took a tour around the buildings of Oldcastle, while Malachy Hand and Gerry Boylan brought visitors on a tour of Loughcrew Cairns and Fore Abbey. Tracey Holsgrove from Beyond the Blarney conducted a historical tour of Oldcastle which takes visitors through the days of the Famine right up to modern times. The Laurence Gilson Commemoration Association is working hard at putting together a weekend which will be attractive to a wide range of people with an interest in education – academics, students, parents, teachers – as well as the many adults in the country who have a general interest in education, either as current or would-be learners. There will be a mix of Seminars exploring and discussing topics including lifelong learning, creativity in education and how technology is impacting on education. Confirmed speakers so far include Berni Brady, Chief Executive Officer of AONTAS, Ted Fleming, Centre for Research and Adult Learning NUIM, Leo Casey, Director, Centre for Research and Innovation in Learning and Teaching, NCI, Myles Dungan, RTE presenter, and Carmel Mulcahy, Department of Education Studies, DCU. You can download the Full Programme to see the whole weekend’s events. Our aim is to honour Laurence Gilson’s legacy and provide a weekend which will be stimulating, interesting and fun, and that will emphasise that learning and education are not confined to the schoolroom. So as well as the more usual seminars and talks as outlined above, there will also be opportunities for learners to meet with practitioners from a wide range of fields including animation, architecture, history, botany and horticulture and gain some insights into how they themselves might learn more about these fields. On Sunday May 27th there will also be a chance for visitors to see some of the ancient and beautiful areas and sites around Oldcastle and we have planned field trips to the Loughcrew Cairns and Fore Abbey amongst others. Keep up to date with the latest additions to the programme on Facebook, follow us on Twitter or if you’d like emailed updates – just drop us an email. The Laurence Gilson Commmemoration Committee is pleased to announce the first Laurence Gilson Summer School which will take place in Oldcastle, Co. Meath from 25-27 May, 2012. In keeping with the legacy of Laurence Gilson this Summer School will have an educational theme each year. The title for 2012 is ‘Gilson to Google: the changing face of education in Ireland’. Despite Ireland’s rich tradition as a nation of scholars, this Summer School will, we believe, be the first devoted entirely to education. On the Saturday night of the weekend of celebrations, architect and former pupil of the Gilson Endowed School Liam Tuite, gave a presentation on life and work of the architect CR Cockerell who was commissioned by LW Naper to build the Gilson School. Cockerell was also reponsible for the design of Loughcrew House, Crossdrum House and other notable buildings in the north Meath area. The second part of Liam Tuite’s presentation dealt with some of the important buildings of Oldcastle, a town whose layout has not changed a great deal since the 19th Century. Laurence Gilson’s legacy to Oldcastle was the gift of education. 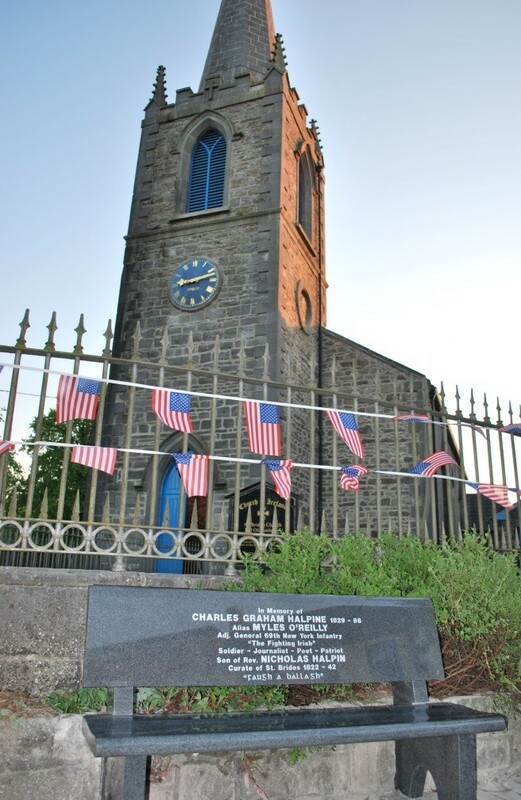 By leaving such a large sum of money to endow the school that bears his name, Gilson ensured that generations of children from Oldcastle and the surrounding area received an education which they otherwise would not have had. The effect of this gift on the wider community is incalculable. As part of the commemorative weekend, we felt it would be fitting to mark Gilson’s interest in education by having a number of talks which would give people a chance to learn more about Laurence Gilson and the school he endowed. 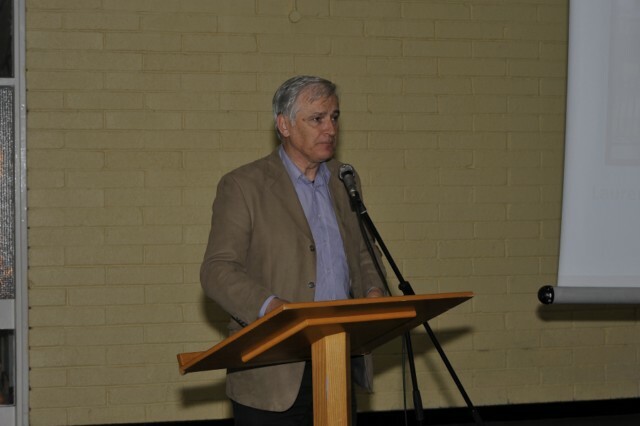 On Friday 29th April, Myles Dungan of RTÉ Radio 1’s The History Show, launched the weekend with a hugely informative and enjoyable talk which set the scene for the weekend to follow. Myles gave the audience an insight into what Ireland would have been like in the early part of the nineteenth century when Gilson’s bequest was made and when the school opened. 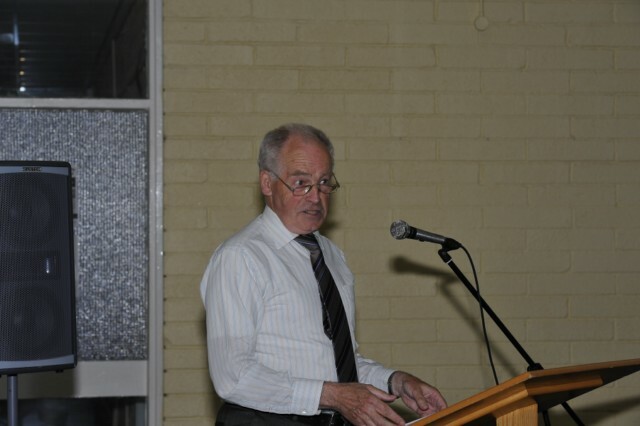 The main speaker on the first night was Christopher McCormack, author of ‘The Gilson Endowed School Oldcastle: The Story of a School’s Search for Identity’. Christy is himself a past pupil of the Gilson School, and went on to become a teacher in Kells. His wife is a former teacher at the Gilson School. Christy gave a real insight into the rich history of the Gilson School and how it adapted over the decades as educational practices developed. Both talks were extremely well received and the audience had a number of questions for both speakers. It was a great start to the weekend!